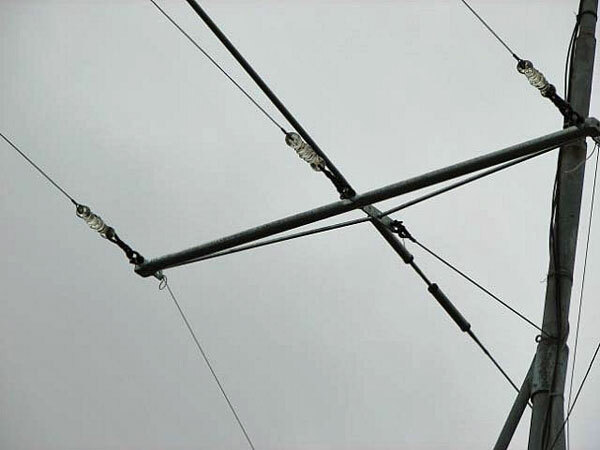 UPDATE: in 2013 the Marconi Tee antenna was retuned to the new 630-metre amateur radio band as ZL1ZLD ceased operation on 512 kHz (600 metres). 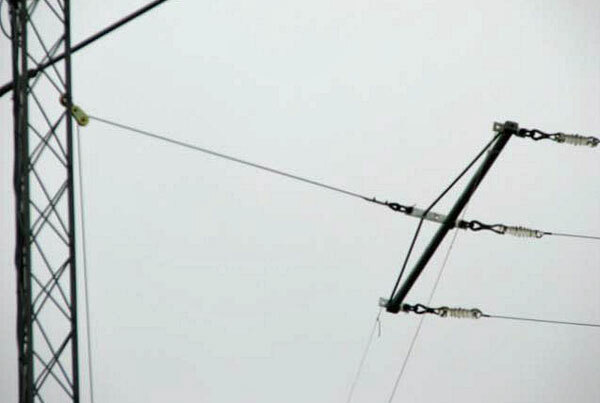 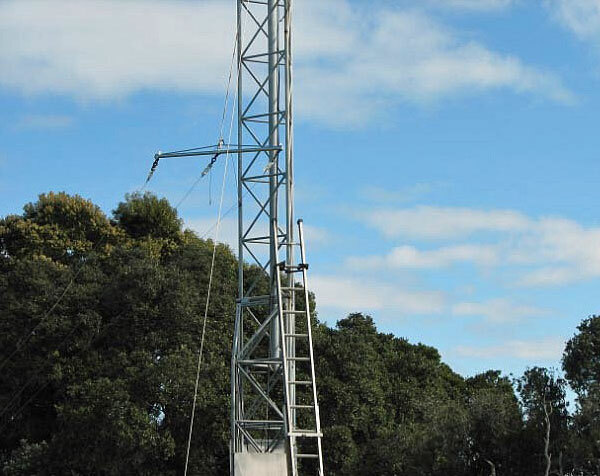 As part of bringing 500 kc/s back to life, members of the Musick Point Radio Group built a Marconi Tee antenna, and erected it between the station’s two towers, a span of 90 metres, on 23 September 2009. 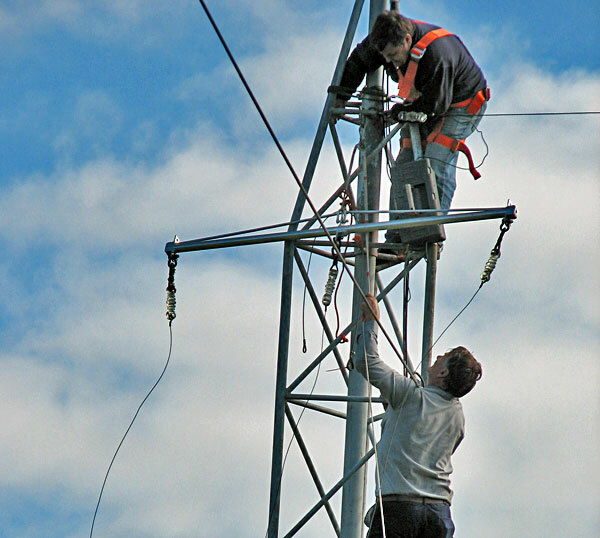 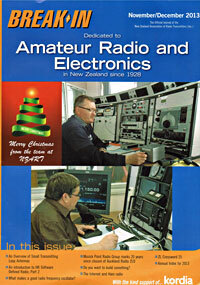 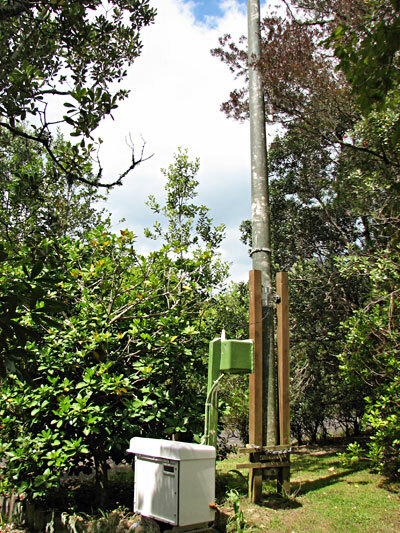 The antenna spreaders were made for us by Kilwell Fibretube of Rotorua at a generous discount. 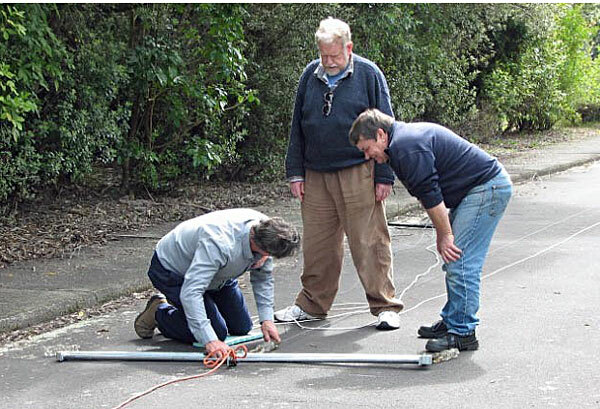 Attaching an end spreader on the 500 kHz antenna in the radio station driveway. 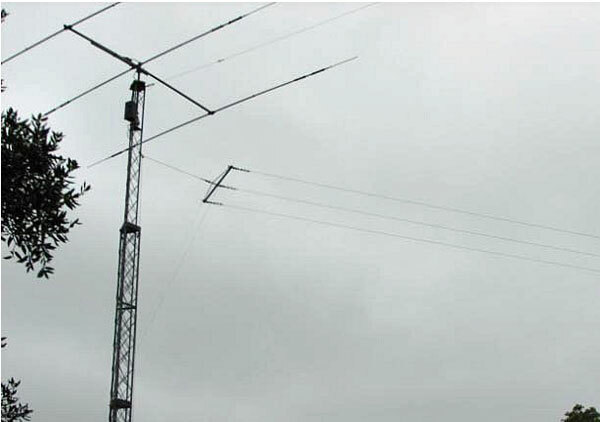 L-R: Steve ZL1FS, Ian ZL1BFB, Rick ZL1WOT. 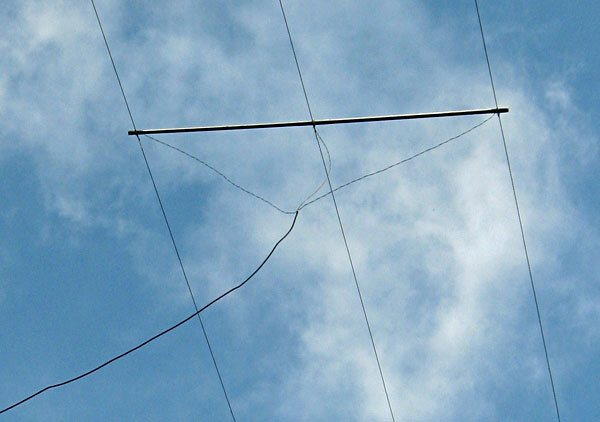 Raising the Marconi Tee aerial – probably the West Tower end. 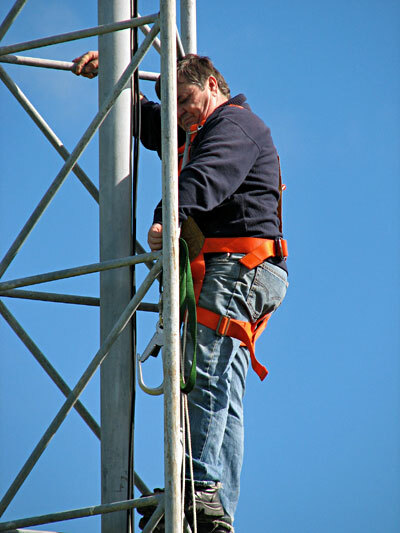 Raising the other end of the 500 kHz antenna on the East Tower.